Debbie Knight is CHER in her exciting fast paced CHER ENERGY show. The show captures the illusion of the star with LIVE vocals as she sings to Cher's biggest hit songs such as "Half Breed", "I Got You Babe"
"If I Could Turn Back Time" and many more! Shows are complete with dazzling replica costumes and audience interaction. Fun for all ages, and tailored just for your event. *Also available as a team SONNY & CHER together again! ....and for that extra special touch Debbie also performs as LADY E in a true heartfelt tribute to Elvis Presley. She can be in YOUR building! All shows available with professional backing tracks or live band. The crowd loved her, very engaging and she kept in contact with us all along up until the day. Managing this from out of town, I had doubts but Debbie was amazing! Definitely highly recommend!! Thanks so much! Looked and sounded just like cher! Thank you very much! I enjoyed performing at your event. Thank you very much! Had a GREAT time! Showed up on time, set up before the guests arrived. Everyone loved her and her performance. She even packed up her equipment and left without disturbing the rest of the party when she was done. Thank you Monica! Thank you so very much for having me. You guys were wonderful! 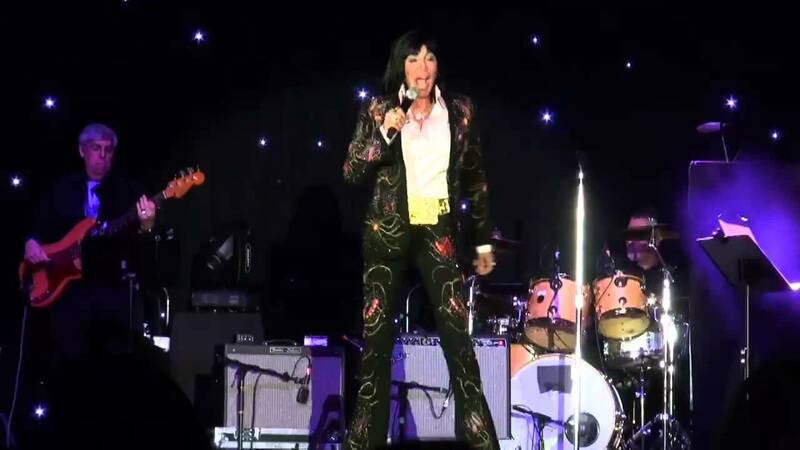 Debbie performed as Cher and Elvis at our annual meeting and she was perfect for our event. Interacting with the audience really was a great part of the her show. 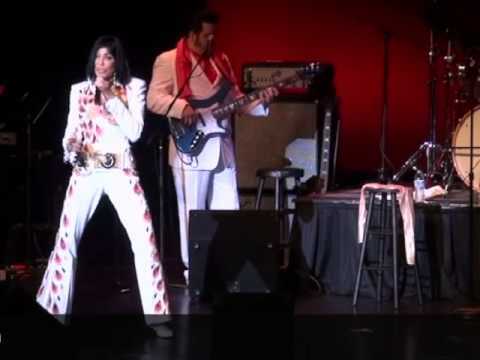 She performed 2 sets where she started as Elvis and did some great songs that everyone knew and then came back as Cher in this great costume and played around with the guests by bringing them on stage and dressing them up. Everyone really had a wonderful time! She arrived early to set up and stayed on to mingle with the guests. I highly recommend. Debbie did a great performance impersonating Cher. We had a surprise party for a surgeon that was finally going to get married for the first time. I hired Debbie to impersonate Cher since she was one of his favorite singers. She gave a great performance! Not only that but she was great with communicating back to me on a timely manner. She was very punctual and knew how to make it fun with bringing people out of the audience to be her back up dancers. She was also very professional, dressed and looked just like real thing. I give her 5 stars and would definitely hire her again for another occasion. Thank you so very much Lisette! I enjoyed every minute. The audience was terrific! This was our 3rd time we've hired Lady E and we'll do it again! Very personable and friendly. Her performances keep getting better every time. Female Elvis...who would've thought it could be this much fun. Highly recommend. We almost doubled the crowd for our meeting the night of the show. She really got the crowd going. Her costumes were great! Would definately reccomend and hire again. Debbie Knight has been performing her Cher and Elvis Tribute show to rave reviews for her LIVE vocals and dazzling replica costumes. She has been featured on numerous radio shows and been interviewed for CNN and many newspapers across the country. Her unique Elvis act is one of a kind. She is one of very few Female Tribute Artists in the world. Just as Elvis helped to change the face of Rock And Roll, Debbie Knight sets out to transform it yet again with her unique Female Elvis Tribute......and her fast paced CHER show singing the classic hits of the 60's such as "I Got You Babe" and "All I Ever Need Is You" to the stars 70's hits like " Gypsies, Tramps & Thieves" and "Half Breed" through the 80's, 90's and 00's like "If I Could Turn Back Time" and "Believe".....and many more. Seeing IS Believing! Sonny & Cher Together Again is also available to suit your needs. Tailored specifically for your event, either show is sure to be a hit!.....it's pure entertainment! 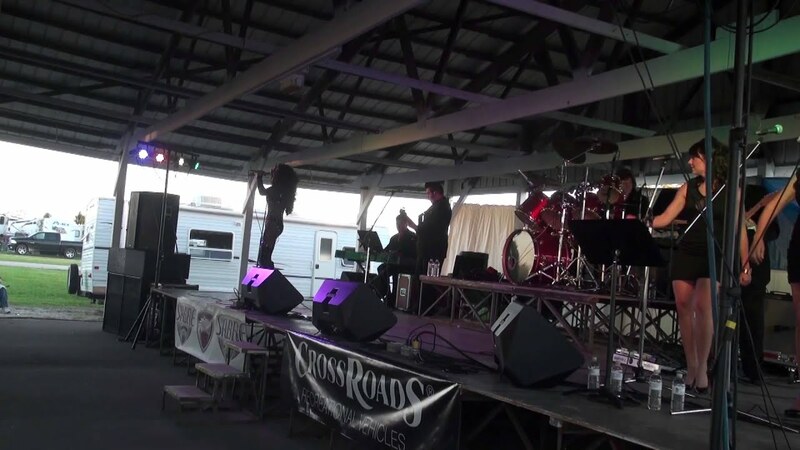 Both shows are available with professional backing tracks or Live Band. The LADY E/Cher Energy Show is also available for those that want the ultimate in entertainment. Songlist/Show can be tailored to meet your needs. Complete sound equipment package available for large events.